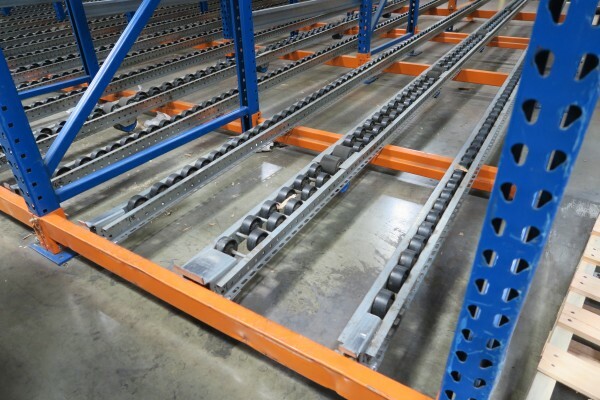 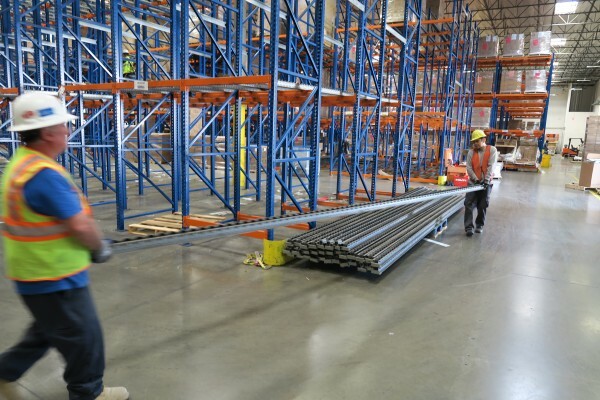 Used Pallet Flow With Brakes : Warehouse Rack Company, Inc.
Pallet flow rack consists of pallet rack supporting roller lanes installed at a slight incline. 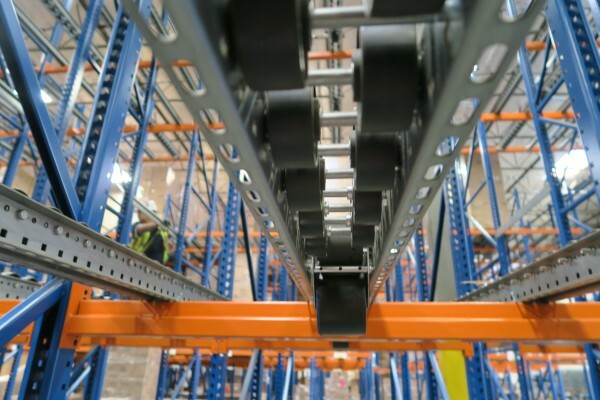 Pallets are loaded into the rear of the pallet flow rack system and retrieved in the front of the pallet flow system. 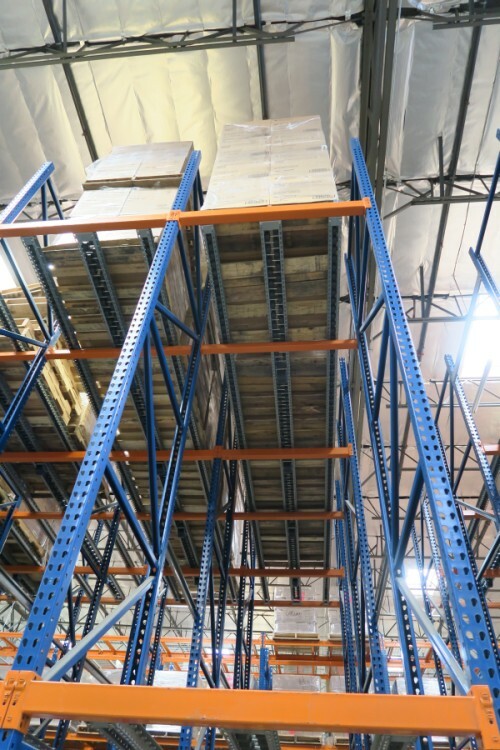 Pallets rolls forward powered by gravity. 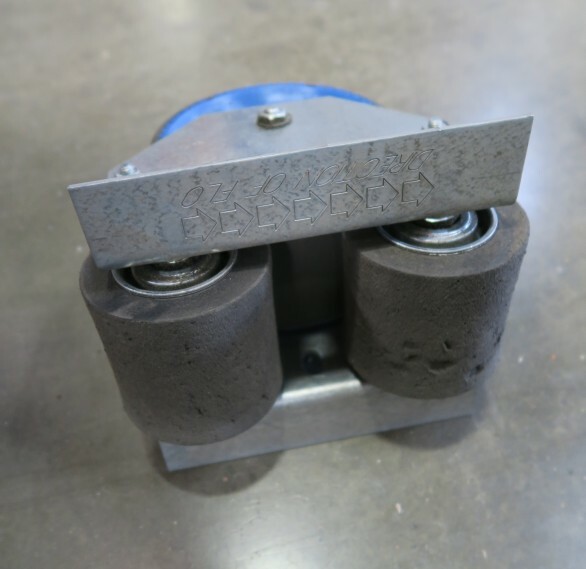 Brakes mounted on the rollers reduce the speed of the pallets as they roll from the rear to the front. 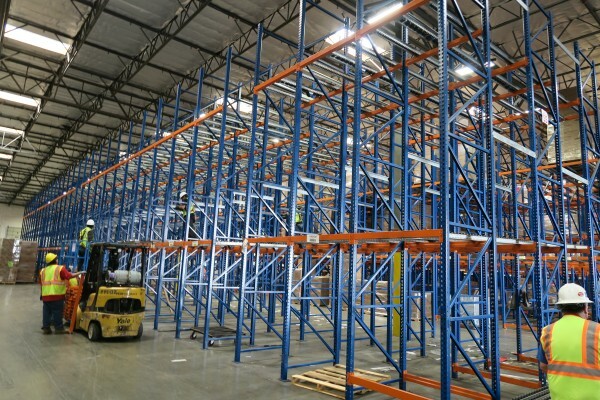 Pallet flow creates maximum storage density. 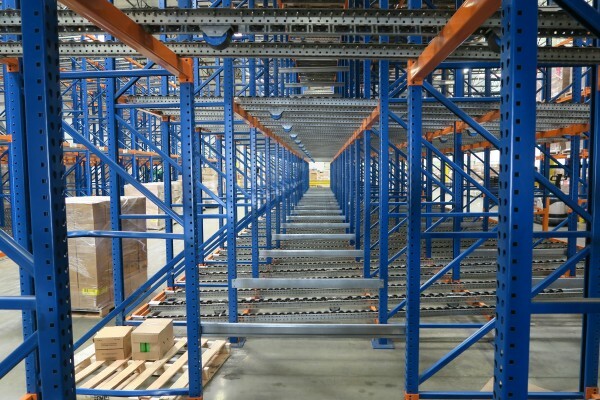 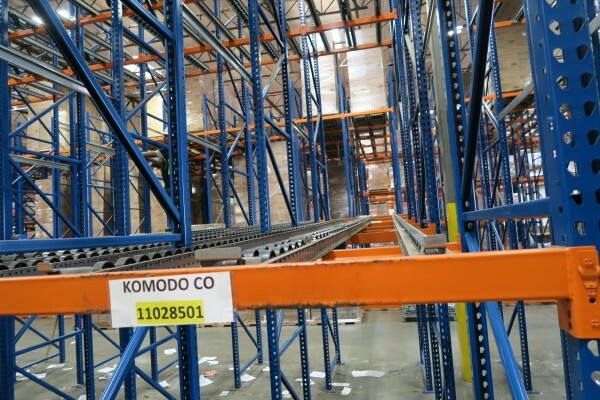 The benefits of a high density, first in first out system are maximized when the rotation of perishables is critical and the cost of warehouse space is high. 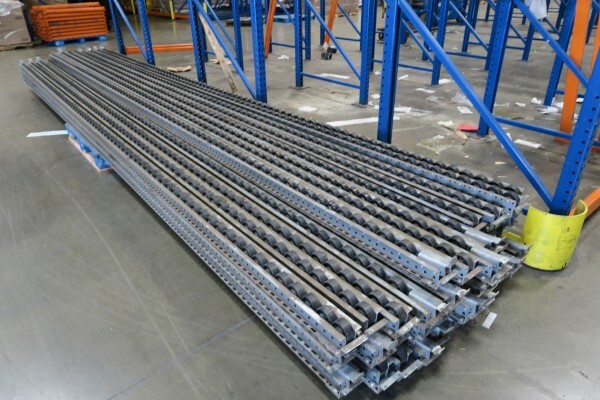 *Available now for approximately 50% of New Price.